A Russian Tu-154 plane with 93 people on board has crashed into the Black Sea, the defense ministry has said. The military plane disappeared from radar two minutes after taking off from the resort of Sochi at 05:25AM local time. Debris and one body have been found, with no reports of any survivors. 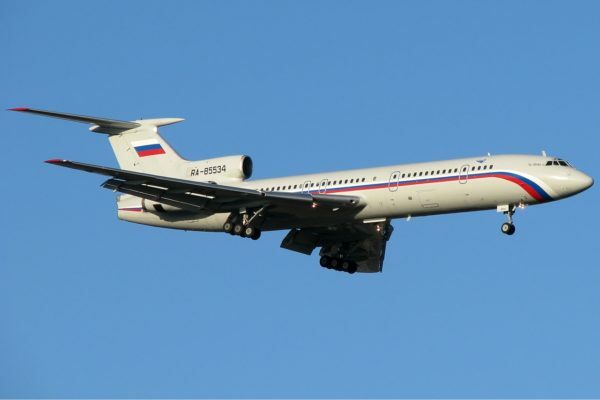 The Russian defense ministry said the Tu-154 was carrying soldiers, 65 members of the famed Alexandrov military music ensemble, and nine reporters. The plane was flying to Latakia in Syria. The flight originated in Moscow and had landed at Adler airport in Sochi for refueling. Reports from the area said flying conditions were favorable. Russian President Vladimir Putin has ordered a state commission to look into the crash and sent his condolences to the families and friends of the victims. The defense ministry has published a passenger list, showing that 65 of those on board were from the Alexandrov Ensemble, including its director, Valery Khalilov. There were 9 journalists, 8 soldiers, two civil servants and eight crew members. Also on board was Elizaveta Glinka, known as Dr. Liza, the executive director of the Fair Aid charity and the inaugural winner of Russia’s state prize for achievements in human rights. The plane was carrying passengers to a New Year’s performance for Russian troops deployed in Syria. The performance was scheduled to take place at Russia’s Hmeimim air base, near Latakia. Pope Francis Christmas Eve Mass: "Christmas Had Been Taken Hostage by Materialism"